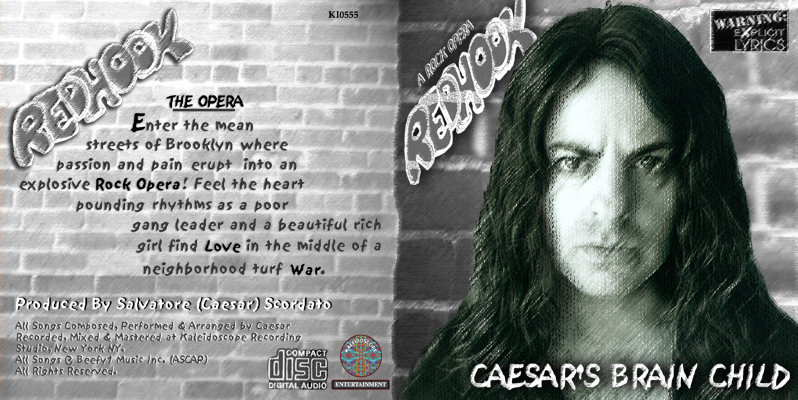 Click Here To Order "Redhook"
Click Here To Order "YOU"
Caesar's Original Rock Opera "Seduction"
We discover the progressive beautiful and intricate Melodies and Rhythms that have become the trademark for all of Caesar's compositions. Poetry is interweaved throughout the album in such a way that the CD becomes an adventure rather than simply a listening experience. Caesar's Brain Child is a rocket that sends you on what is appropriately sub-titled, Trip One! This CD is a compilation of songs that never made it onto an album. 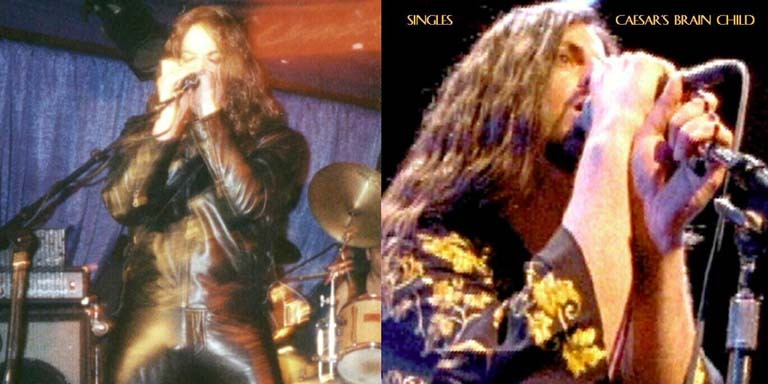 Mostly these are single songs that were released as such or included in one of Caesar's Rock Opera's or Movies and performed on stage or screen by the actors. This CD will enchant and enthuse. You will want to play it over and over again. It's sure to become one of your favorite CDs. This is the only truly live concert performance by The Misfits. 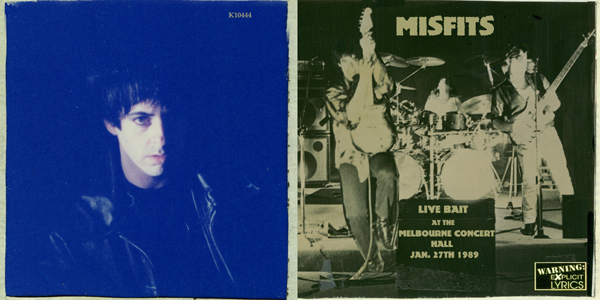 Recorded at the Melbourne Concert Hall in Australia on January 27th 1989 it is one of the most exciting live performances you will ever hear! This Journey into the past reaches far into the future. You will absolutely LOVE THIS CONCERT !!!! Redhook is a Rock Opera Composed, Directed and Produced by Caesar. It played on Broadway to great success. This is the original soundtrack of that Opera. Completely sung and performed by Caesar it is the original recordings that were used to teach the entire Broadway Cast all the numbers in the show. The DVD of the Broadway Show is also available and contains The Documentary of the Making of Redhook and well as the Live Stage Performance at The Lambs Theater. I know you will enjoy hearing this version and then watching the DVD. This is a REAL Treat ! 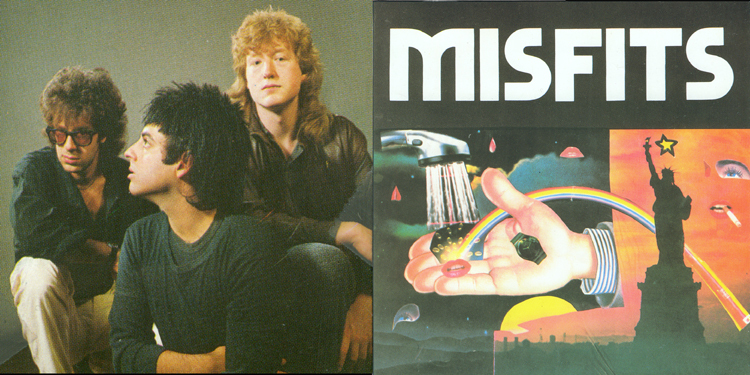 This is Caesar's first band after leaving the Misfits. 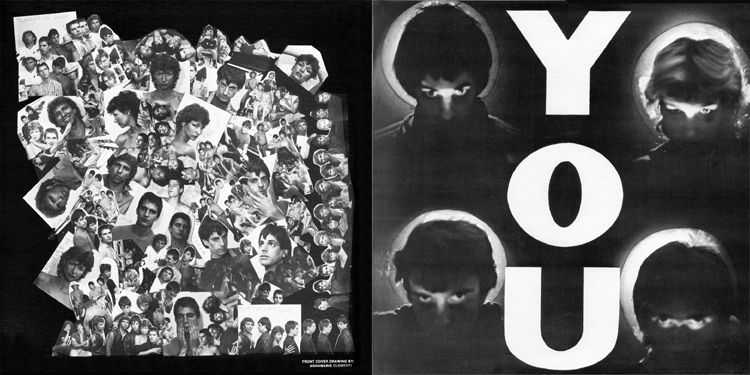 "You Are Coming" is the title of this first album from this 80's New Wave progressive band and "Neek" is the second. Both have been combined on this amazing Digitally Remastered CD to give you the greatest retro feelings You have ever experienced. "The revolution has begun", was their mantra and after you listen to this adventurous CD, you will truly understand the movement that took place all those years ago. Techno Wave Dance is the style of the songs from the second offering, "Neek". Once you put this CD into your player or in your ipod... You won't be able to stop your feet... You'll be transported back in time and begin to Pogo just like you did when you were heading up the movement to take back the country from all those Fat Cat Politicians! Click image to experience Caesar performing, "Child Misfortune" from the award winning feature film "Forgotten Savior", LIVE in concert !!!! music video of the hit song, "Kind of a Lover"
Click image to see a performance clip of the hit song, "Dreams Die Hard" from the feature film "Forgotten Savior"
Click above image to view "People All Over The World", a clip from the award winning feature film, "Forgotten Savior". This is the official soundtrack CD for the award winning Feature Film, "Forgotten Savior". Forgotten Savior By Salvatore Caesar Scordato Medieval England, a prince's love is torn apart at the hands of a hired assassin. Four hundred years later his spirit is reincarnated to the body of James Scott who is inspired to create music following a visit from the ghost of his friend who was killed by a mobster. By the grace of a bird spirit he surmounts a tragic childhood of murder and sexual abuse. He meets John Lennon and is compelled to leave home. Starving and alone he encounters a mysterious hermit who guides him towards success. He emerges from the turmoil of addiction, fame and corruption, to be reunited with his love from centuries past, completing the circle.